Should you need to cancel or reschedule a class at Urban Spools, we require 72 hours notice. A full refund will be issued or you may request a Class Credit to be used toward another class we offer. If a cancellation is received less than 72 hours prior to the class, no refund or Class Credit will be issued. This allows the teachers at Urban Spools to be fully prepared for the correct number of students and to allow for time to fill the slot in classes that often have a waiting list. "Baby Lock offers superior quality and convenience features. As an authorized Baby Lock dealer, we love to share our knowledge of this line and help you unlock the full potential of your sewing machine! If you have purchased your Baby Lock sewing machine from Urban Spools, this class is offered at no cost. Simply call our store to add yourself to the roster." Learn how fun English Paper Piecing (EPP) can be! Learn this relaxing handiwork technique and give your sewing machine a break. You have made that first quilt top but what are the next steps to get it to sofa snuggle time? 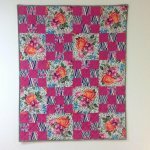 This class will teach you how to quilt that quilt top using your domestic sewing machine. We’ll go over batting, basting the quilt to prepare for quilting and various techniques for quilting at home on your own machine. Susan will be your teacher in this great class. 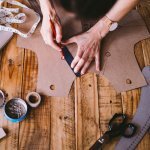 Learn the basics of garment sewing from taking size measurements, garment sewing tools and materials, and how to read commercial and indie patterns. Our goal is to give you the confidence and skill to start sewing garments! 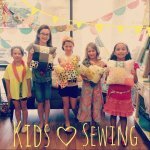 Help your kids express their own personal style through garment making! In this class, we will teach you everything you need to get started in creating children's fashion clothing. The art of hand embroidery has been around since ancient times within every culture and continues to be one of the finest mediums for creative fiber arts. In this class, you will learn common stitch techniques used in hand embroidery and how to start and manage projects from beginning to end. 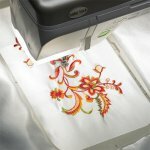 Longarm quilting machines opens up worlds of possibilities. With a larger workspace, quilters gain complete control over their compositions from beginning to end. The built-in stitch regulator ensures smooth, precise stitching for a harmonious finish. 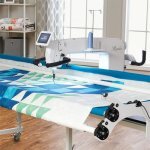 In this class, you will learn the basics of longarm quilting, how to properly load a quilt, thread the machine, adjust tensions, and operating the machine using several different free-motion quilting techniques. Add your own unique touch to every project with your embroidery machine. In this class, you will learn how to select the proper stabilizer for each project, hooping techniques, thread differences, and basic embroidery digitizing methods. You will also get to practice these techniques while making a simple hand towel embroidery project. If you have purchased your Baby Lock embroidery machine from Urban Spools, this class is offered at no cost. Simply call our store to add yourself to the roster. The world of paper piecing enables quilters to create miniature details with stunning accuracy and the ability to stitch out blocks perfectly every time. Learn the ins and outs of paper piecing while making an amazing graphic quilt block. Want to learn how to quilt? This two class series will cover all of the basics of quilting. You will learn fabric selection, rotary cutting and piecing. Part two of our Intro to Quilting series will cover the quilting aspect of quilting. The art of attaching the quilt top to the batting and backing fabrics. 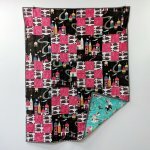 In this class you will learn how to achieve straight line quilting and some of the free-motion basics. You will also learn about different presser feet, threads and, battings. Multiple threads and double needles can be one of the most confusing things in sewing. 4-thread, 3-thread overlock, rolled hem, narrow hem, tension adjustments...oh my! 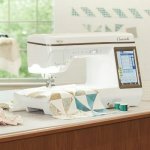 In this class, we demystify the serger and explore all of the features and capabilities of this amazing machine. In no time, this will be one of the most cherished tools in your sewing room. Learn the basics of a sewing machine, including how to wind a bobbin, thread the machine, perform general maintenance, and using basic sewing machine feet. If you have been wanting to learn the basics about using a sewing machine, this class is for you. 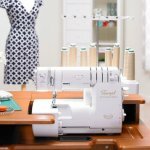 You will learn your way around the sewing machine, including how to wind the bobbin, thread the machine, perform general maintenance, and the use of the basic sewing machine feet. We will create a cute project while learning these skills. This class will build a foundation that will take your sewing where ever you want to go! Bring your own machine if you have one or feel free to use one of ours.